Split the payment over 13 weekly payments of $99.92 Shipping & returns info Free shipping! 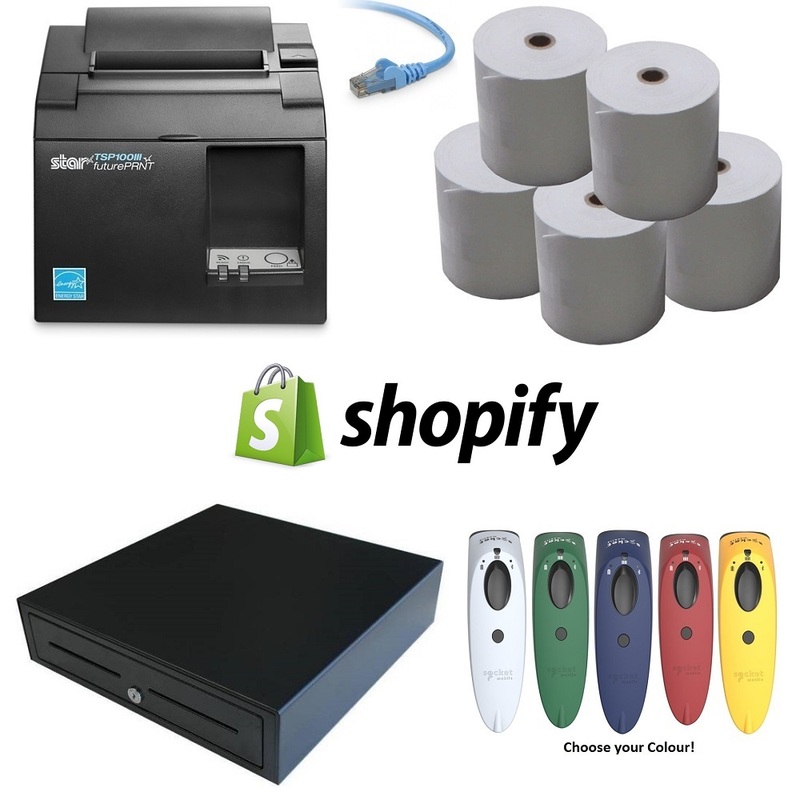 Scan barcodes with this Shopify POS Hardware Bundle. Complete with Printer, Cash Drawer, Bluetooth Scanner & Charging Dock, Cash Drawer & Paper Rolls. 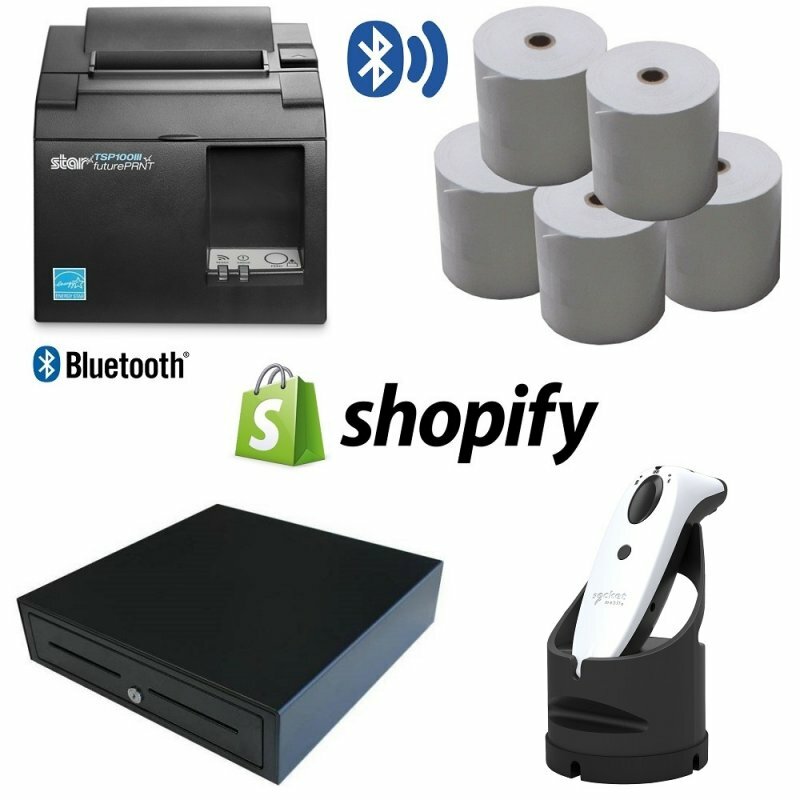 Scan barcodes with this Shopify Point of Sale (POS) Bundle for iPad! 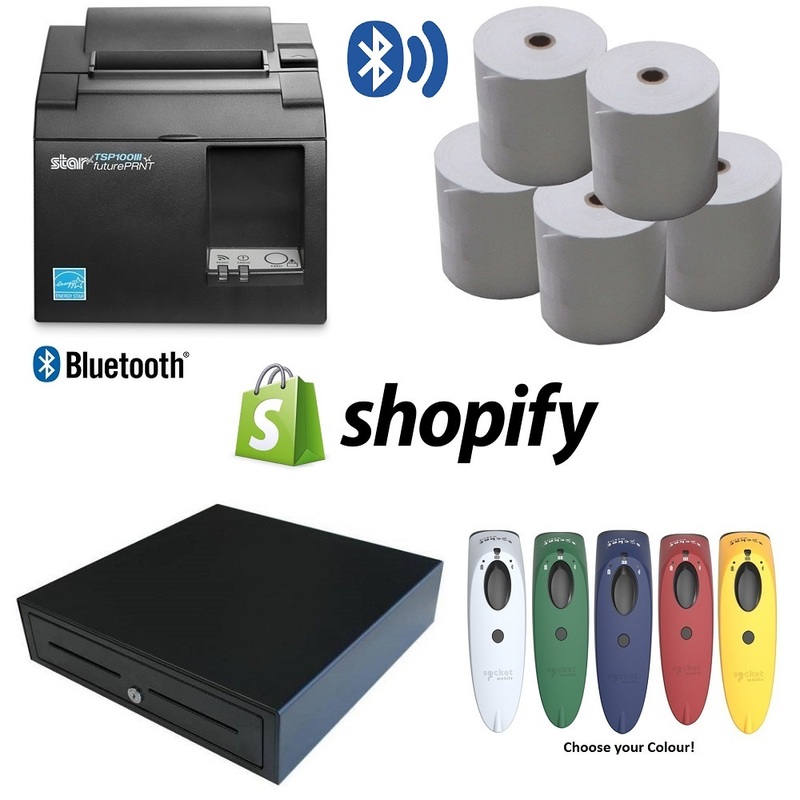 Complete with Compatible Bluetooth Receipt Printer, Cash Drawer, Socket S700 White Bluetooth Barcode Scanner & Charging Cradle plus a box of thermal paper rolls.